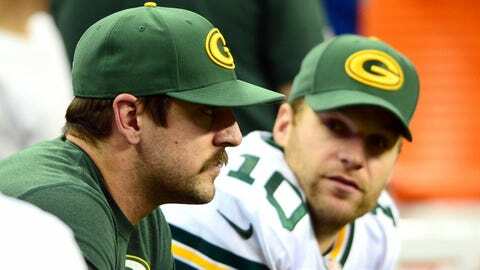 Quarterback Aaron Rodgers (left) will miss his seventh straight game on Sunday, meaning Matt Flynn will make his third start for the Packers. preparation. He’s very disappointed. He’s frustrated. But speaking with Dr.
left collarbone, an injury that often takes between 6-to-8 weeks to fully heal. was done was Dec. 3. Green Bay has millions of reasons to be cautious. Thursday, he’s ready to go. on Dec. 4, but in his comments this week, that pain level had reduced. Rodgers, who got all of the work with the starting offense Friday. 75 percent of his passes in a win over Atlanta.